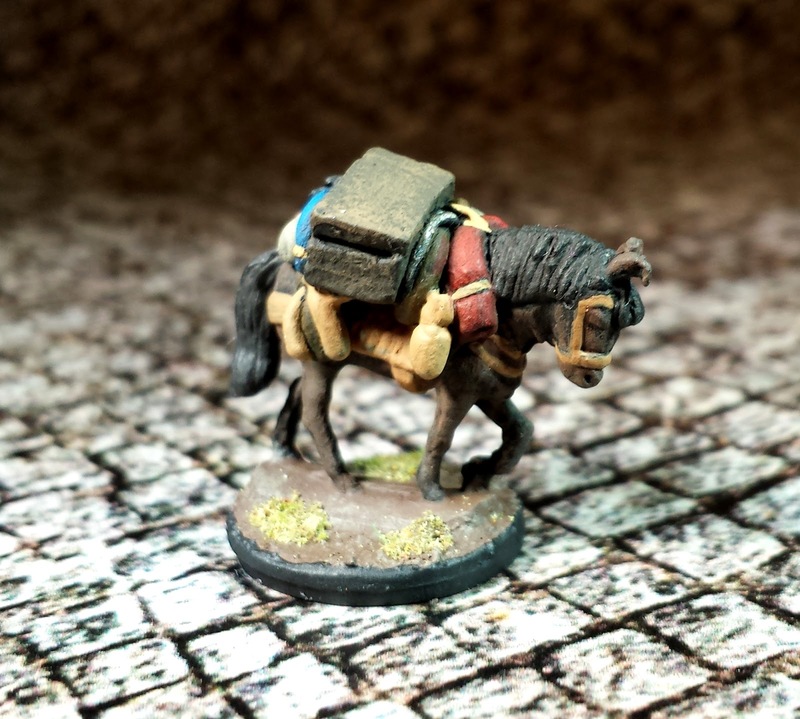 What with the guys wanting to steal Nigel the Porter's Mule, I knew that I would have to get something ready to represent it in the party. I actually have no idea whether or not they still plan to go through with it at the time of writing this, but as the Dungeon Master it pays to be prepared. 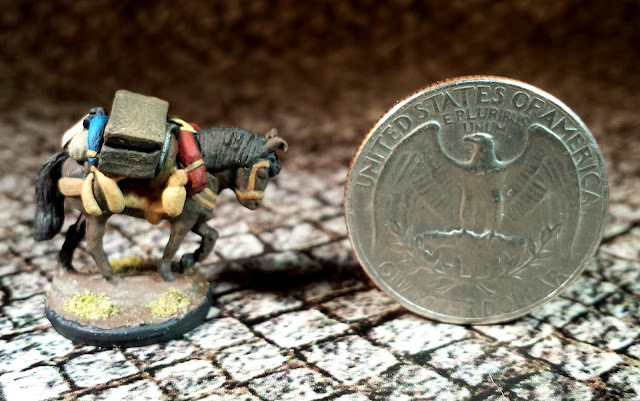 This mini is from 15mm Co, and I normally don't consider their minis to be of the greatest quality, however this mule is amazing. 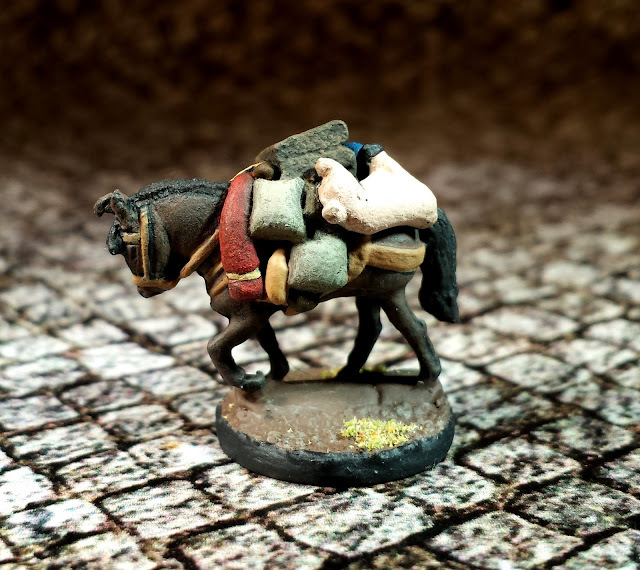 I love the attention to detail with all packs the chest, the bags, and even the pig tied to the back of it. Great job guys. Now, the scale of mule is a little larger then the rest of the party; making it stand closer to the height of a small horse than a mule. But it is a small detail. Even if it doesn't get stolen, now that I have the mini I am sure some one will buy it is some game. Who doesn't want a pack mule after all? P.S. 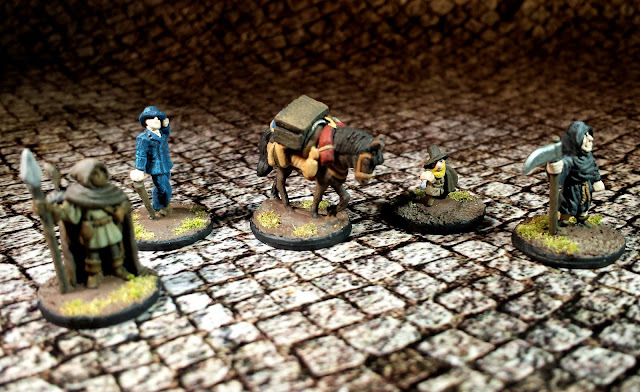 They completely forgot about wanting to steal the mule and left town without poor old Daisy.